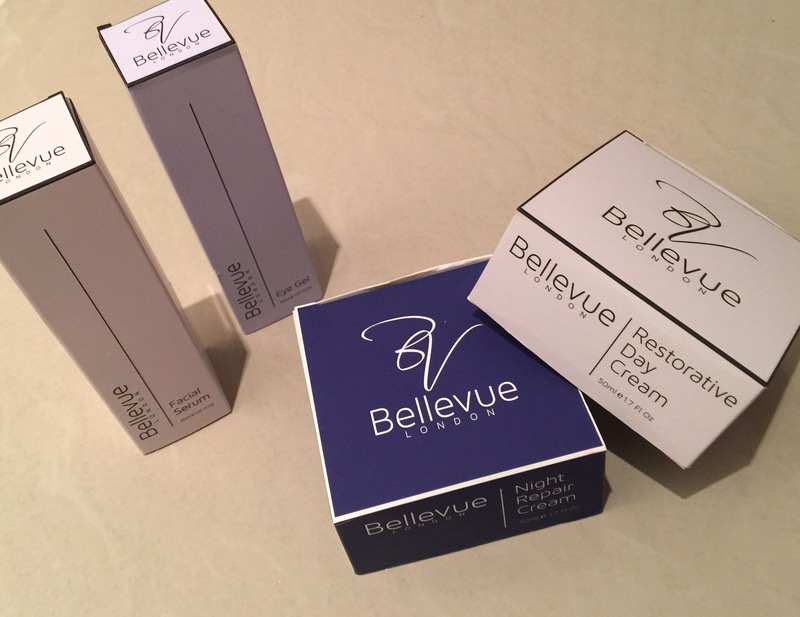 So Bellevue London, what is it about? Luxury skincare products that take inspiration from the city with the highest quality, standard and classical style. They are so sure you will LOVE their products they offer a guarantee that you will be happy with the products when you buy them, first use them, or even when you use them a year from now. Thats pretty big words, so how does it hold up? Ive been trying it for the past 3 weeks to give it a realistic run. Gorgeous, high quality, strong, neutral, and clean looking. Ideal for a proud display in the bathroom! They come with cute little ingredient booklets inside. The pots are really strong and unscrew/screw nicely. Pumps works smoothly and deliver the perfect amount into the hand (sounds a bit of a basic comment but this is really important to me – when a product pumps out too much or too little, it annoys me more than it should! haha). 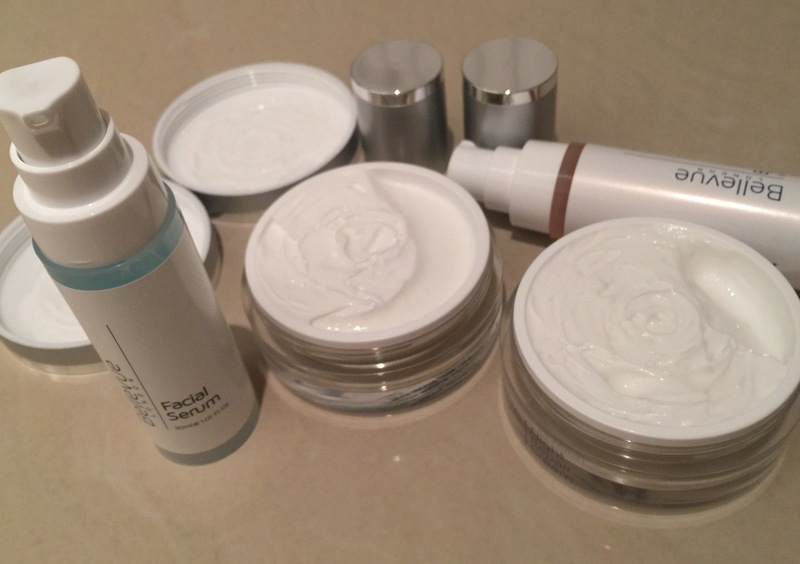 The pots are really large and flat, so it looks it looks very high quality and like you have a lot of cream – even though it is actually 50ml – which is the same as most skincare brands. 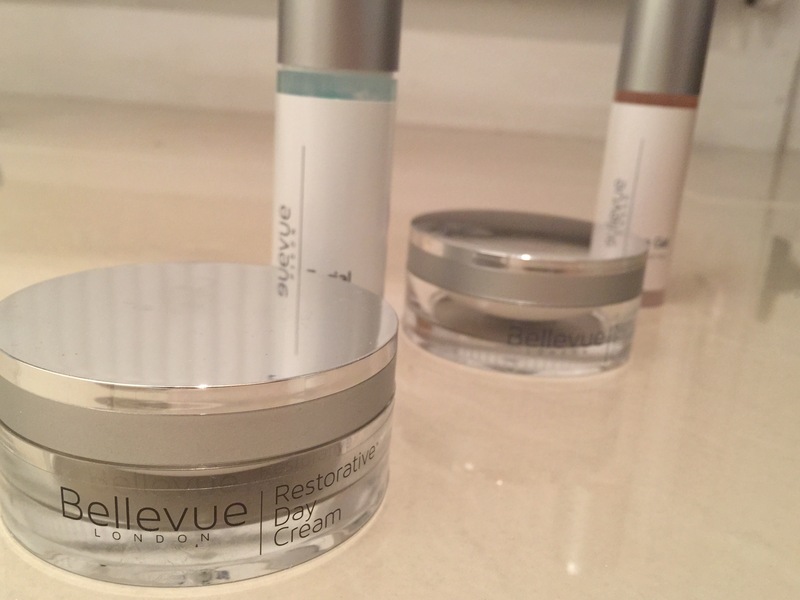 So lets talk about the Restorative Day cream first. 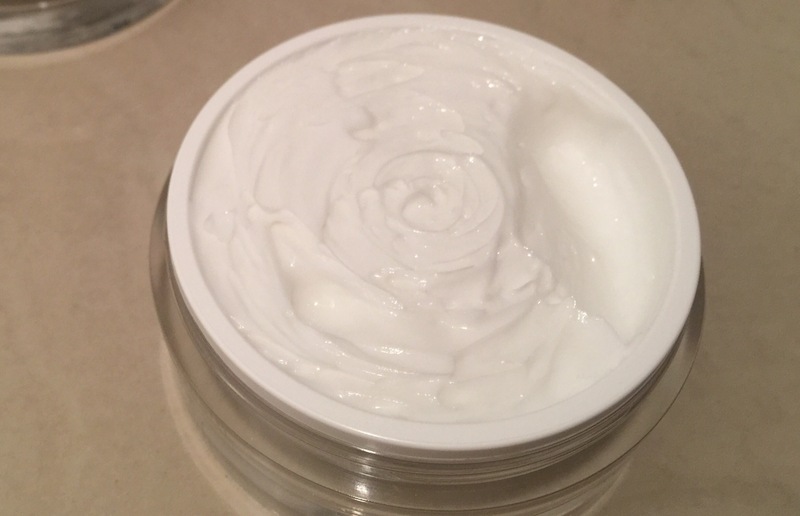 This is a texture unlike anything other I have tried, the cream is thick ( something I’ve very familiar with as my skin is so dry) but when its applied to the skin it doesn’t feel too heavy, and its not greasy or oily….Whats in it? Snail Extract – Yes you heard that right, snails rebuild their skin when damaged so this helps to restore the healthy, youthful appearance of your skin naturally. 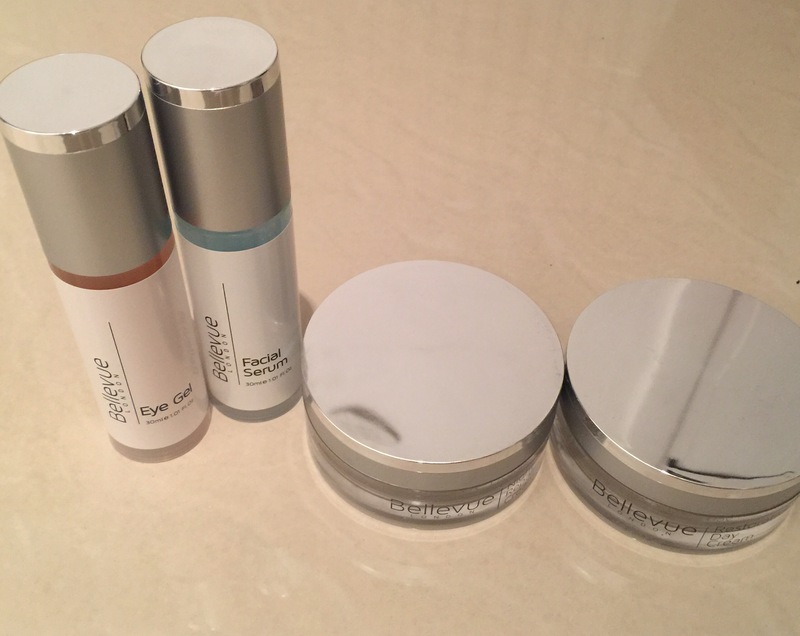 It also is designed to stimulates the natural production of collagen elastin fibres, glycosaminoglycans and proteoglycans which are the secrets of the plushest of skin. The night repair cream is also made with snail extract – which also helps face harmonise its pigmentation tone, helps scars, acne scars and dark spots as well as promoting the nighttime cell renewal. Th texture is a bit thicker but still has a velvety finish on the skin – so I think it would be suitable for different skin types. This Eye gel helps rejuvenate and promises it penetrates deep into the skin. It also has caffeine in it which is a renowned eye ingredient to wake the skin up. The texture is light and gel like and its really refreshing and cooling to apply. The Facial serum which I apply before the moisturiser is enriched with vitamins and minerals and claims to help restore the skins elasticity, and increase brightness. Again this is quite a light texture which felt nice on the face. My main comment is that it feels lovely and luxurious to apply. I love that its dense, but not heavy and doesn’t leave the face feeling greasy so applying make up is absolutely fine after ( and won’t leave you ca greasy mess a few hours later). I have only been using this for three weeks so I can’t comment on longer term results but I can say I really enjoyed using this and my skin definitely felt like it had some goodness applied to it and my skin felt really comfortable once applied! My favourite of the products was the cooling eye gel as this really felt lovely to put on – and I’m always down for an eye gel! I’m looking forward to using this more to see the longer term results that these products can give! I really liked the cream on my neck scar as it really made it feel comfortable and I really wanted to get the most of the snail extract on it – to see what effect it had! Obviously this is a massive scar so I can’t see any immediate difference but it really does feel nice on it as it is a dense texture ( which not all creams do) so this is a massive bonus for me! If you want to try these out you can do so by clicking here and using code ‘ELEISEON’ for 50% off! Previous Article← Vlogging with The Perfume Shop!